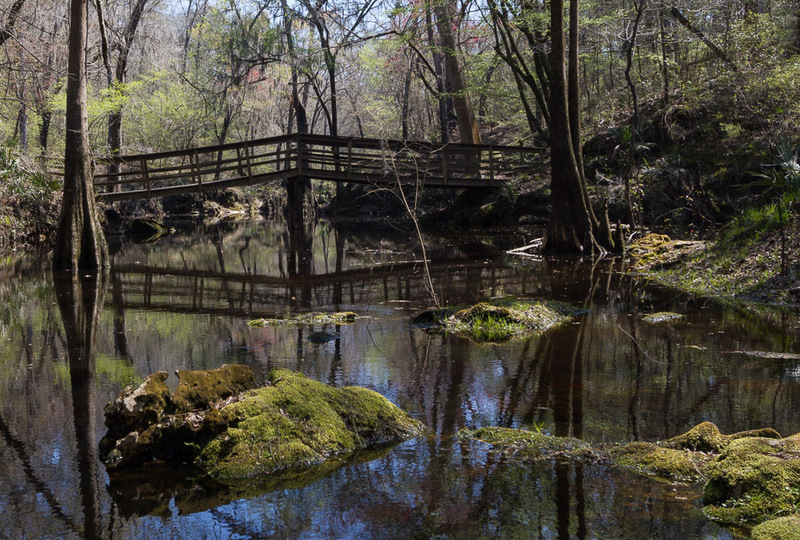 Located just off US90, between the towns of Live Oak and Madison, in Natural North Florida, Suwannee River State Park isn’t one of our largest parks, but it certainly is one of the most scenic. It’s upstream of the confluence of the mighty Suwannee River and the lesser “upper” Withlacoochee River, right where the highway crosses the Suwannee River. 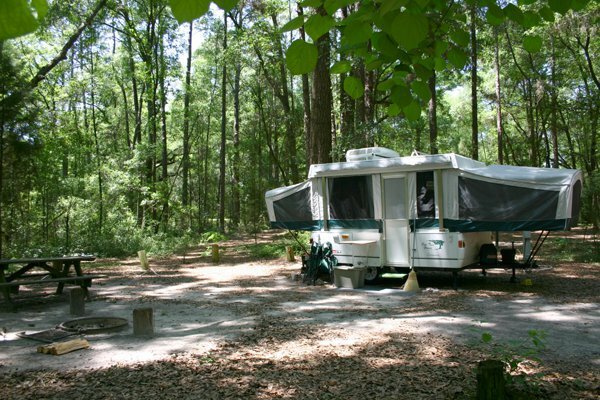 In addition to a boat ramp and excellent river access for both power boats and paddle craft, the park offers camping (RV and tent), cabins, and lots of hiking trails. There are also restroom facilities and picnic areas overlooking the river.